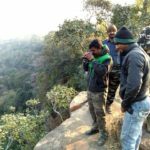 Over the last few years, ‘herping’ or the act of finding and photographing reptiles and amphibians in their natural habitat, has become quite popular among naturalists and wildlife photographers throughout India. It’s not uncommon for photographers to spend multiple days at destinations like Agumbe or Amboli which are renowned for their herp biodiversity. 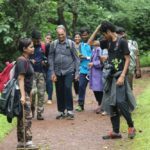 In fact, when I was doing a two-month research project in Agumbe, I met several nature enthusiasts from large cities like Bangalore, Mumbai and Pune who had made the arduous journey to the western ghats in search of snakes and frogs to photograph. 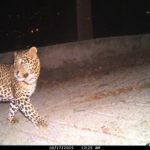 What if I told you that the very types of animals that they were looking for could be found in their own backyards in cities like Bangalore? 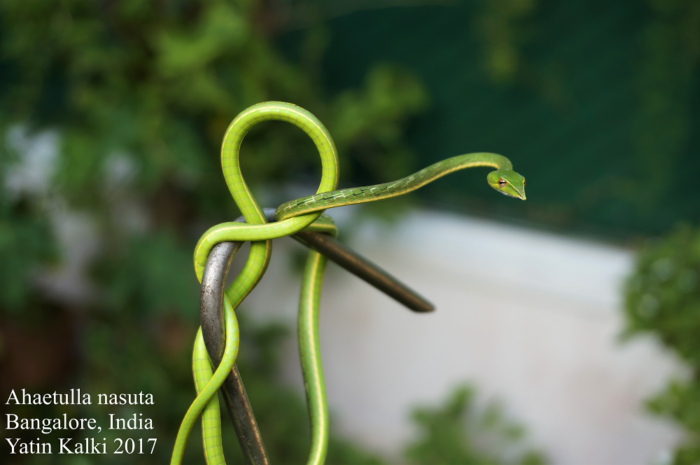 While I will admit that the biodiversity of Bangalore is no rival to that of a place like Agumbe, the urban jungle has its own array of reptile and amphibian species which often go overlooked. Rapid development has pushed many of these animals out of their historic habitats and decimated their numbers to fractions of what they used to be, so finding them can be extremely challenging. 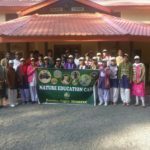 However, if you know where, when and how to look for them, you will be rewarded with wildlife encounters as extraordinary as the ones you would experience in the Ghats. Today, the majority of Bangalore’s landscape is made up of concrete apartment buildings, tar roads and expansive office complexes. However, there are a few fragments of natural habitat left in the city, usually as vacant lots or at the margins of lakes and agricultural fields. 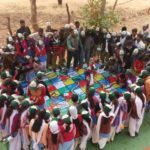 When I was growing up, I was fortunate to have a goshala (cow sanctuary) near my house, which owned a large tract of undeveloped land made up of the native scrub forest vegetation. 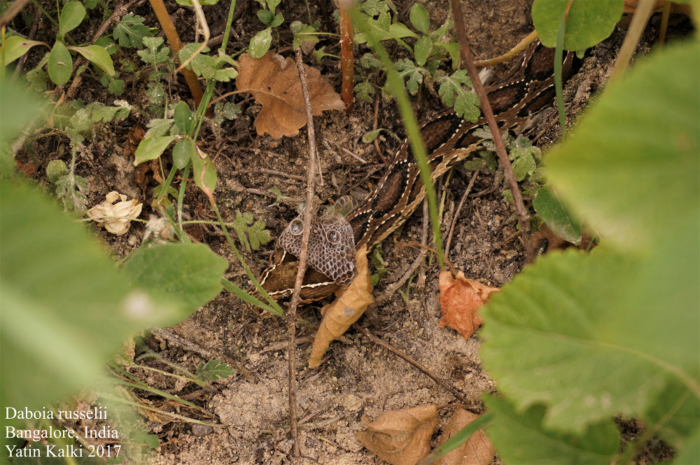 Desperate to see snakes, I would spend several hours a day hiking through that area. 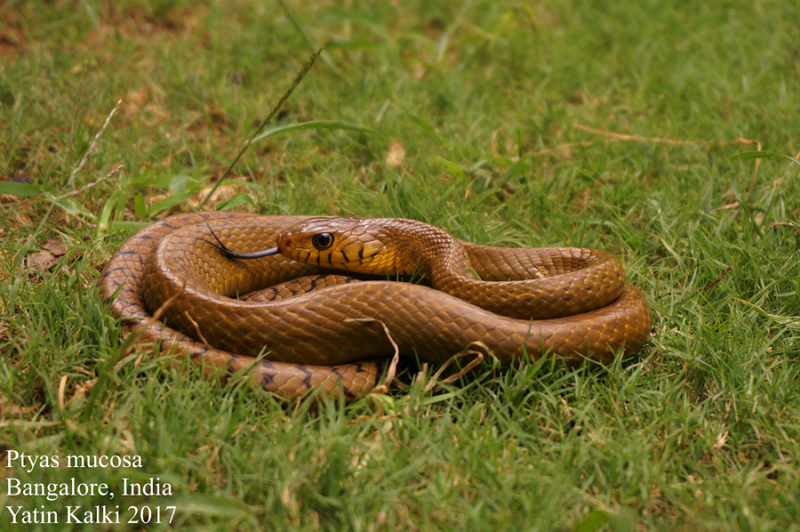 Between 8AM and noon, I would see large diurnal snakes like Spectacled Cobras (Naja naja) and Rat Snakes (Ptyas mucosa) moving through the tall grass or basking in trees. 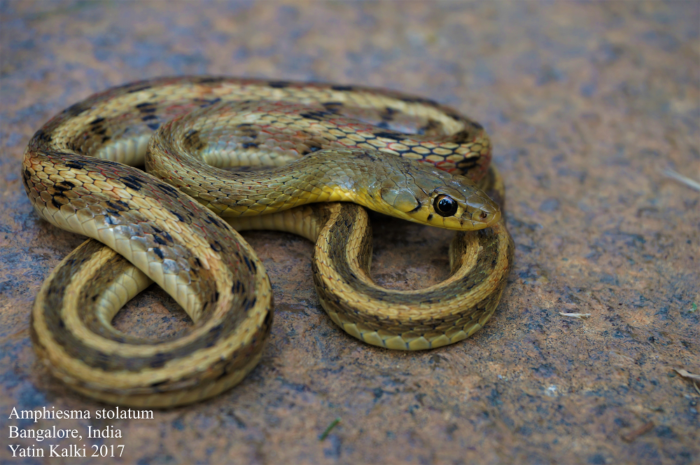 I would also occasionally see Striped Keelbacks (Amphiesma stolatum) and Russell’s Vipers (Daboia russelii) which would scramble to get out of my way if I accidentally disturbed their resting spot with my hiking stick. Bright orange male Peninsular Rock Agamas (Psammophilus sp.) could also be seen on large rocks displaying to the more modestly colored females. If I came across any rocks or fallen logs, I would carefully lift them and look underneath. Spotted Supple Skinks (Lygosoma punctata), Whitaker’s Termite Hill Geckos (Hemidactylus whitakeri) and fossorial frogs like the Sri Lankan Painted Frog (Uperodon taprobanicus), Variegated Ramanella (Uperodon variegatus) and Ornate Narrowmouth Frog (Microhyla ornata) were frequent finds under rocks on sandy soil. Lifting a rock to find a snake underneath was like winning the lottery. Wolf Snakes (Lycodon spp. 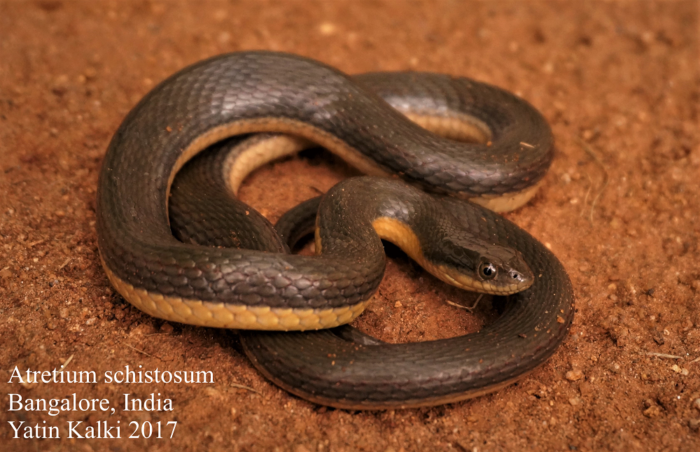 ), Common Kukri Snakes (Oligodon arnensis), Variegated Kukri Snakes (Oligodon taeniolatus) and Blindsnakes (Indotyphlops spp.) are all snakes which I have found under rocks in that area. Coming back to the same area at night with a flashlight would reveal a host of new species. 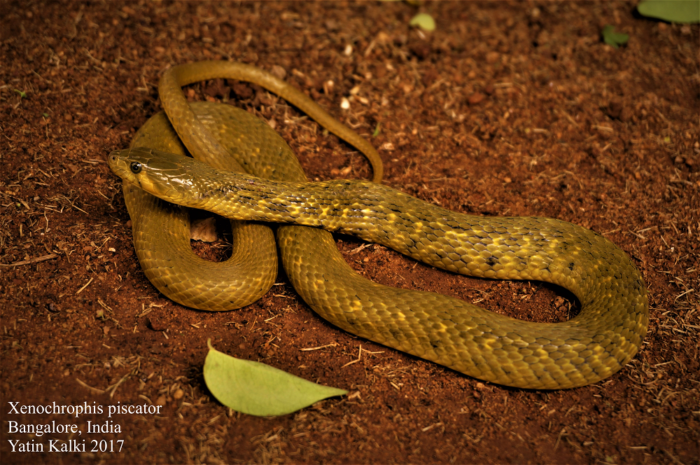 Green Vine Snakes (Ahaetulla nasuta) would be visible sleeping in the trees while Trinket Snakes (Coelognathus helena) and Russell’s Vipers slithered underfoot. 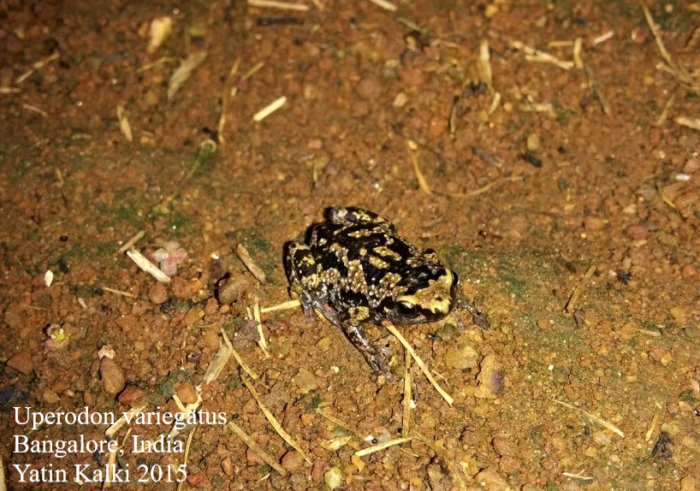 Following the calls of Cricket Frogs (Fejervarya sp.) would lead you to the lake, where Checkered Keelbacks (Xenochrophis piscator) and Olive Keelbacks (Atretium schistosum) could be seen hunting for Skittering Frogs (Euphlyctis cyanophlyctis) along the banks. 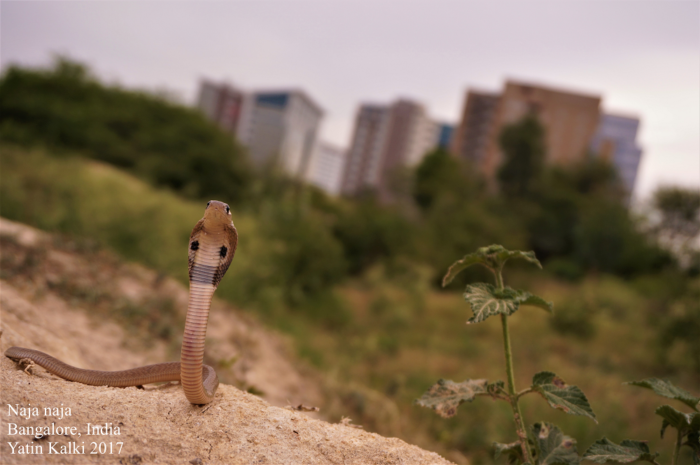 Now you’re probably reading this and thinking “I live in Bangalore but I don’t have access to undeveloped land where I can go herping!” Worry not, there are still many species you can find in highly altered urban areas. The lizards running around on the walls of your house (which your mom probably considers pests) can be pretty interesting when given a closer look. The Asian House Gecko (Hemidactylus frenatus) has a smooth back and turberculed tail while the Spotted House Gecko (Hemidactylus parvimaculatus) has tubercles on its back as well as its tail. Now walk outside and move some flowerpots or debris piled against walls. 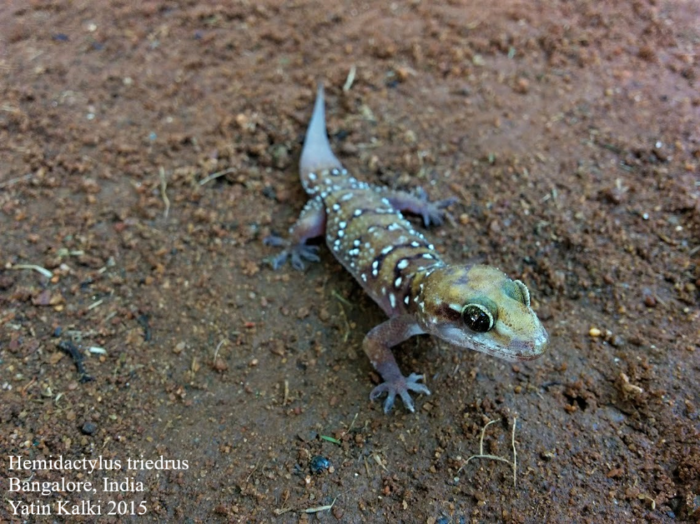 I guarantee that you’ll find a few Mysore Day Geckos (Cnemaspis mysoriensis). 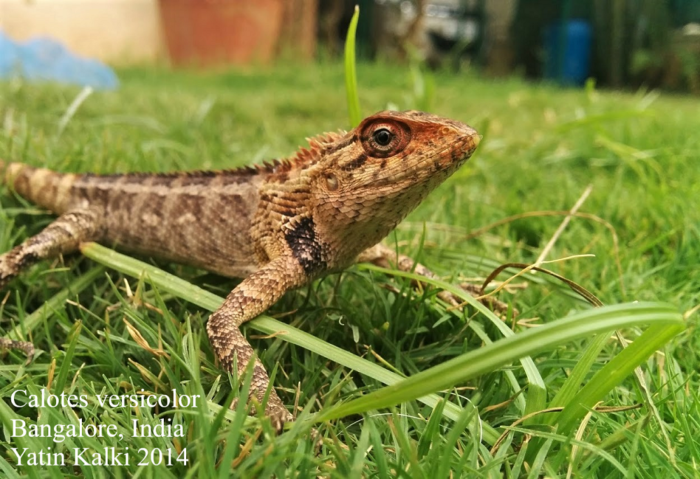 Look to the nearest tree or compound wall and you’ll see an Oriental Garden Lizard (Calotes versicolor). Take a walk in the evening and you’ll probably find a few Asian Toads (Duttaphrynus melanostictus). 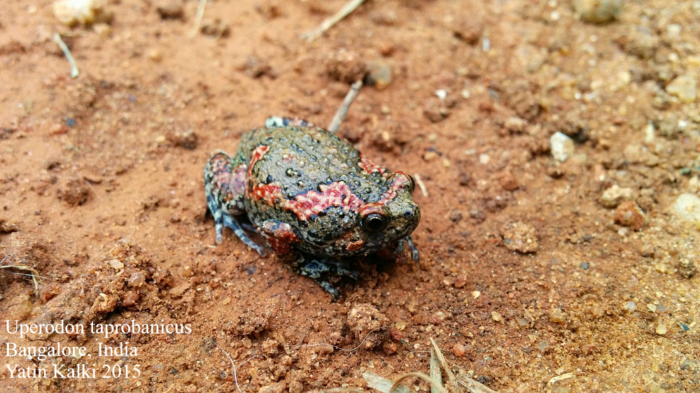 The species I’ve addressed thus far are only a fraction of Bangalore’s herpetofauna. There are a number of species found in the city which I haven’t seen yet, such as the Fan-throated Lizards (Sitana spp. ), Green Keelback (Macropisthodon plumbicolor), Indian Rock Python (Python molurus), Red Narrowmouth Frog (Microhyla rubra) and many many more. My point is that wildlife is not restricted to pristine rainforests and faraway sanctuaries. Wildlife is all around us, in our cities, in our backyards and even in our homes. We just need to open our minds and give our scaly and slimy neighbours some love once in a while! 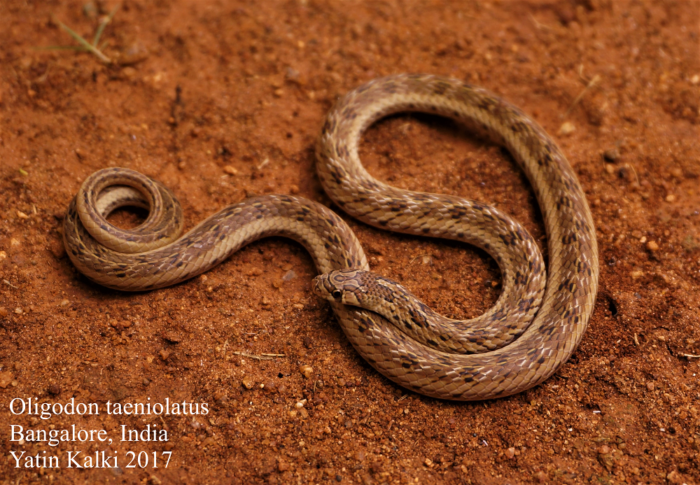 Yatin Kalki’s interest in herpetology began in Bangalore, India where he grew up rescuing snakes around his neighborhood. 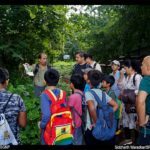 Over the last four years, he has assisted with herpetological research in the United States, the Western Ghats of India, the Amazon rainforest in Ecuador, and the Galapagos Islands. 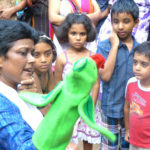 He has also conducted his own research on the herpetofauna of the Agumbe rainforest and the urban snakes of Bangalore. 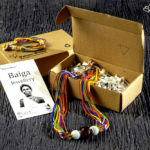 He recently completed his bachelor’s degree in Wildlife Conservation at the University of Illinois at Urbana-Champaign and hopes to continue studying the ecology, behavior, and natural history of reptiles and amphibians. Wide eyed in appreciation of the interesting and wild crawlies in our own city and in the beautiful way the article is written. Wow!